Lake Shore Unitarian Society is an open-minded community that inspires you to find your own spiritual path. We differentiate ourselves with lay-led Sunday services facilitated by member volunteers, a youth Religious Explorations program based upon Unitarian Universalist principles, and outstanding musical performances. 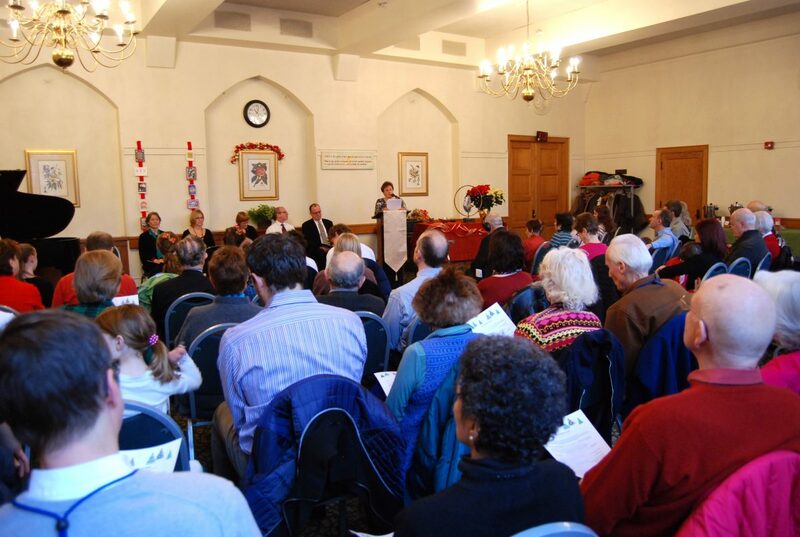 At Lake Shore Unitarian Society, we embrace values shared by the world’s major religions and a set of principles that include justice, peace, compassion, and the inherent worth of every human being. Whether you believe in God or not, or you are not sure, you’ll be welcomed warmly. We come together every Sunday to think about life’s “big questions,” support one another in finding our spiritual paths, and get inspired not just to talk about but to live our values day to day. Some in our congregation were raised Unitarian. Many others are from a Christian or Jewish background. Some are part of an interfaith marriage or family, while others have never been affiliated with an organized religion at all. Whatever your spiritual background, there’s a place for you and your family in our close-knit community.